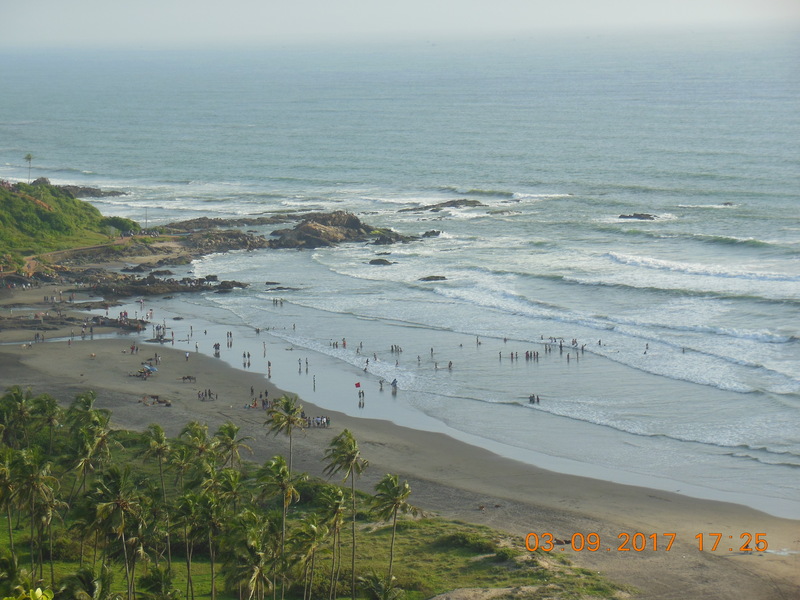 If you are a beach lover and want to visit the most happening and exciting beaches in India then Goa is the place one must visit .We heard so much about the Goa that this time we planned our holidays there . August end is actually not peak season for Goa as its monsoon time and rain may ruin the fun but as this was almost monsoon end we decided to go Goa . Our Del-Goa fight was Air Asia at 12:30 PM from T3 , Delhi , so we booked Uber from our home in Noida to T3 .If you dont have Uber , download using this link : Uber . Air Asia flight experience was good , flight was a bit delayed but we reached Goa on time at 3:20 PM , strange thing about Air asia flight was by default they allotted us 2 aisle seats and when we requested for middle and window seats they said these seats are 550 INR per person . As we reached Goa we were hungry , we wanted to eat something but sad that there was no food options at Goa airport , there s only a small confectionery shop as you exit Airport gate so we took a Burger and Vada Pav from there . Unfortunately Uber and Ola doesn’t provide services in Goa and only way to take taxi is to take taxi from government approved taxi counter just before exiting airport gate . Prices for AC and Non-AC for all different locations are mentioned there . Just get a voucher there and pay to the taxi driver on arrival of your destination . We reached Hotel enjoying 1 hour drive , roads are really nice and so was the weather and way. We booked Phenoix park Inn hotel in Candolim area which is around 5 mins 2 wheeler drive from Candolim beach . I will write more about the hotel experience in the later part of this blog . As soon as we reached hotel and refreshed we rented Honda Activa which was provided by some agents just outside the hotel , Rent for activa was 300 INR per day as this was non-peak season , Agent insisted for all money for 4 days in advance and one identity to be kept with him . I handed over my Pan card to him and 600 INR for 1st 2 days . Though it was 7 Pm already , he said we it will cost us day’s rent , but renting a two wheeler is a must as major beaches or places were around 5 to 6 Kms from the hotel . 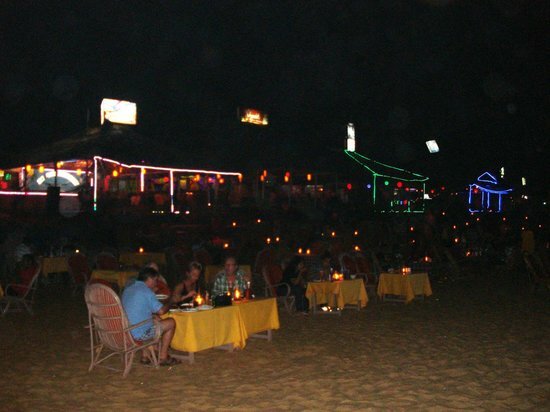 At night we went to Baga Beach which is very much popular for its night life and is open pretty much whole night . We took front seat in one of the beach side restaurant, sitting outside watching beautiful sea beach was really really awesome .We ordered beer , mock tail , chicken and some veg starters , the food was awesome but we noticed there were many pet dogs and cats in that beach restaurant so after enjoying some food we decided to change the shack . As we paid the bill light showers started and we moved to another beach restaurant, there was no seat at sea side so we took a seat inside , but karaoke , good food and ambience made our stay there also very nice .At round 11 we thought its quite late and as it was our first day we decided to come back to hotel . Way back to hotel was quite ok , we could see people pretty much all the way till our hotel . 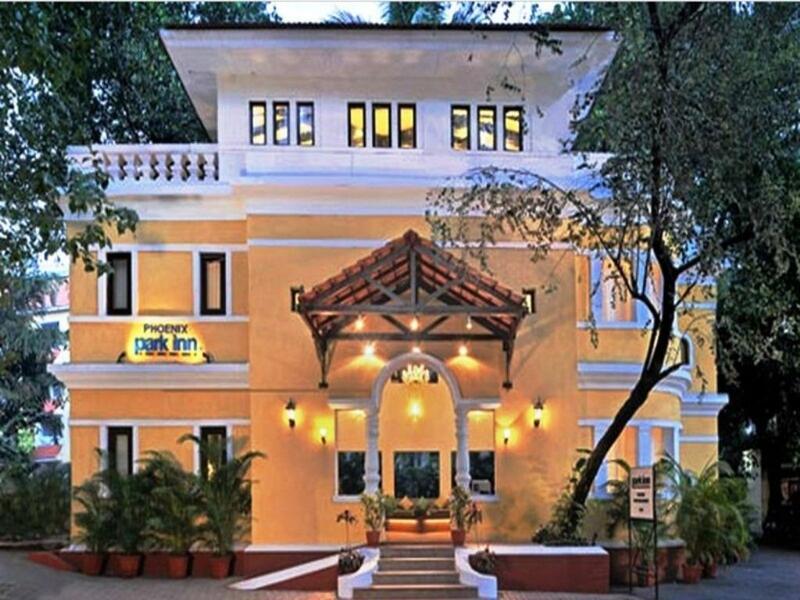 We booked Phenoix park Inn hotel Resort via MakemyTrip . Join Makemytrip using this link to enjoy some good offers. It s a 4 star Hotel and it costed us around 3k per day .Hotel location is good and is very near to Candolim Beach , Calatunge Beach was around 5 Km and Baga Beach 6 KM. Will I use same Resort again or refer it : Big NO . We woke up at 8 and after having breakfast in the hotel , planned to go to Candolim Beach , actually we didnt go to the exact Candolim beach but to a part of beach just near our resort . There was no one there except us 🙂 . 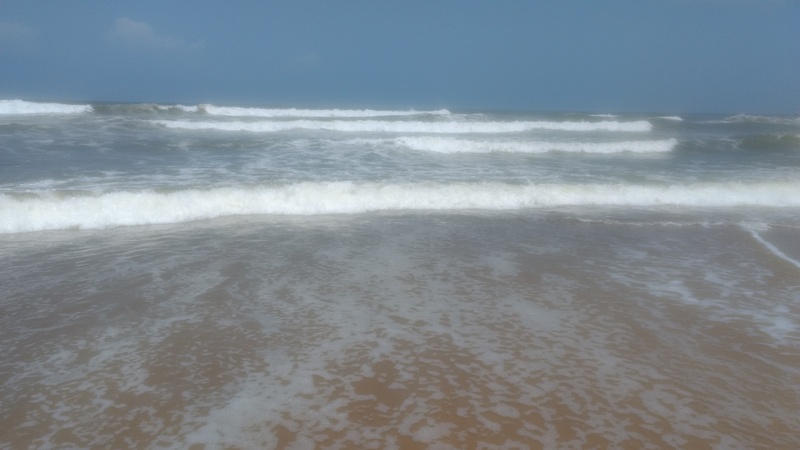 We enjoyed sometime there and then planned to go to Calangute beach . This beach was nice and had lockers and showers , so we kept all our bags and cellphone in the locker at just 150 bucks for 2 hours and had fun in the beach . It was really really sunny so we used sun screen lotion to avoid sun burns . After few hours went back to Resort after which we had a nice Lunch in a restaurant on the main Aguada Fort road. After lunch we went to fort Aguada which was around 10 mins far from that restaurant on Activa . We used GPS for all our travel in Goa and it worked well perfectly . We reached fort Aguada at around 4 :45 PM and took some nice clicks but at exact 5 :30 PM Guard started whistling as it was the closing time for fort Aguada . This night we planned to go to Calangute beach as we heard that only 2 beaches are good at night time first is Baga which we covered yesterday . Shacks at Calangute beach were very less , around 3 or 4 as comparison to Baga but as it was less crowded we got the seat easily and enjoyed much more than day 1 . However light showers started but they went off in around 15 minutes . We stayed till 12 at beach and then decided to call it a day . We wanted to start day 3 with some quick shopping , so after breakfast we went to market near Calangute beach . Bargaining is always enjoyed at these places , we shopped some items from local market and some branded stuff from shops like Levis and Lee . After lunch we planned to visit Old Goa which has famous churches of Goa . For Old Goa we had to ride activa for around 40 mins from Candolim , while on the way we took petrol . Actually near beaches you can get petrol from any shop , they keep it in mineral water bottle and sell the same at 85 INR per litre but anyways we found HP petrol pump so we refilled it there at normal rates around 63 INR per liter . After riding and reaching Panjim we asked someone about Old Goa and the person told us that Church closes at 5 PM . It was already 4:55 PM and church was still 8 KM away . There were dance boat bank nearby but we decided to go back to hotel and plan for a massage and late beach side stay . On checking some options for massage, prices were starting ranging 2200 per person , we decided Kerala Massage at Ayurtouch Massage parlour which was quite cheap at 800 per person for 1 hour session and was looking okay . The parlour is closed on Sunday and is closed at 9 PM to plan accordingly . Massage was very oily and there was no shower facility in the parlour but still it helped us relax a bit . After the refreshing session we went back to Baga Beach and stayed there at a different shack then the other night and called it a day at around 1 AM . It was our last day in Goa and we were confused as there were many things to do and less time . Few things which were on our mind included Casio , 4 hour Cruise ride , Fort Aguada light house , Chopara fort ( also known as Dil Chahta hai Fort ) , Chapora Beach ,Vagator Beach , Sinquerim Beach , Mapusa market , Water sports and so on , so we went to a Travel shop and he told us that most water sports is closed due to off season. He said that we must go to Chapora fort and Mapusa market . We started for Mapusa market on Activa , the way to market was again around 10 KM as always we enjoyed the ride . As we reached the local market at Mapusa we understood that market is mostly closed on Sunday , still there were few shops open , we did some shopping and came back to Candolim where we had light lunch and started for fort Chapora . Fort Chapora also closes at 5 : 30 PM but we reached there at 4 :15 PM and thought we have lot of time to explore it . 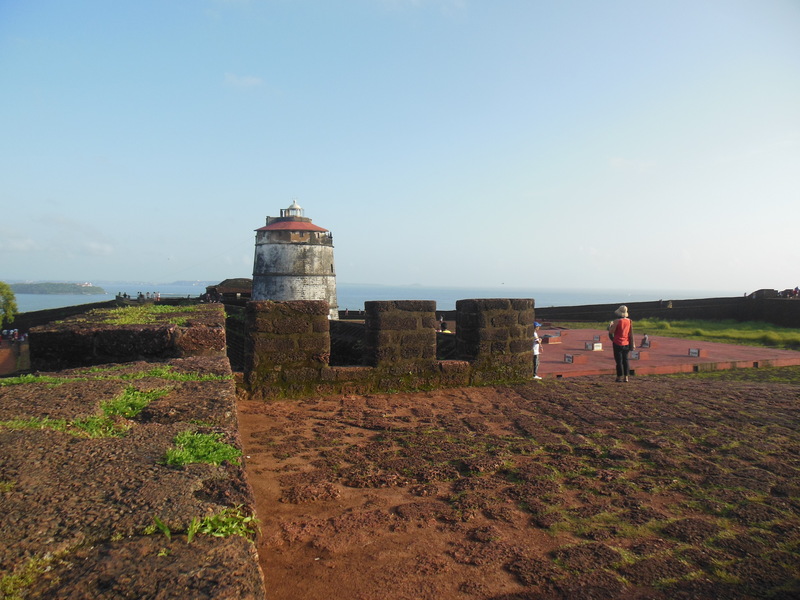 This fort is also popular because a part of shooting of Dil Chahta hai was done at this fort . 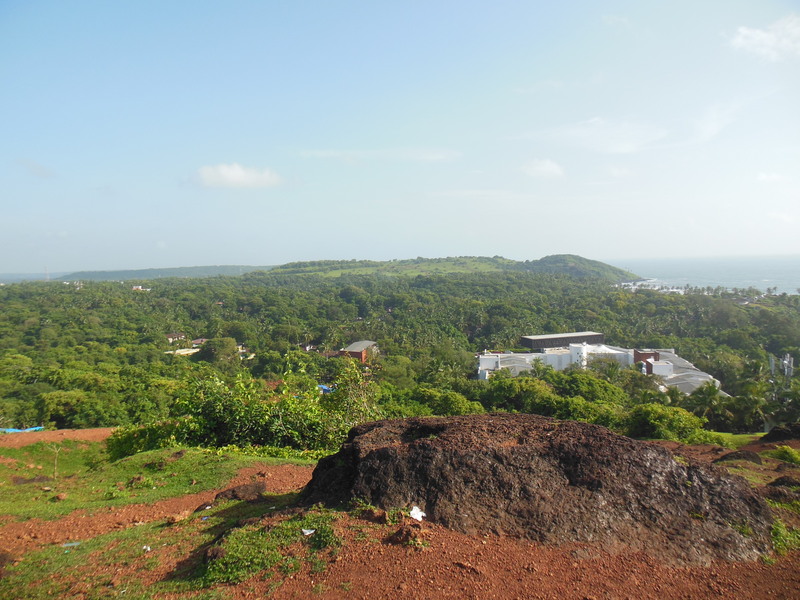 View from this fort was so nice that time flew and guard started whistling so that all tourist should come out of the fort , but as we were enjoying our time at fort looking at the awesome view of various beaches of goa from the fort we didnt go out of the fort at that time . We planned to go out at around 5 50 PM and as we moved to the gate we saw the door of the fort locked . Fortunately there was another way to go out of fort by climbing a small wall , we climbed that and came out of the fort . Even at this time people were coming inside from that same wall of the fort probably to see sunset from that place . 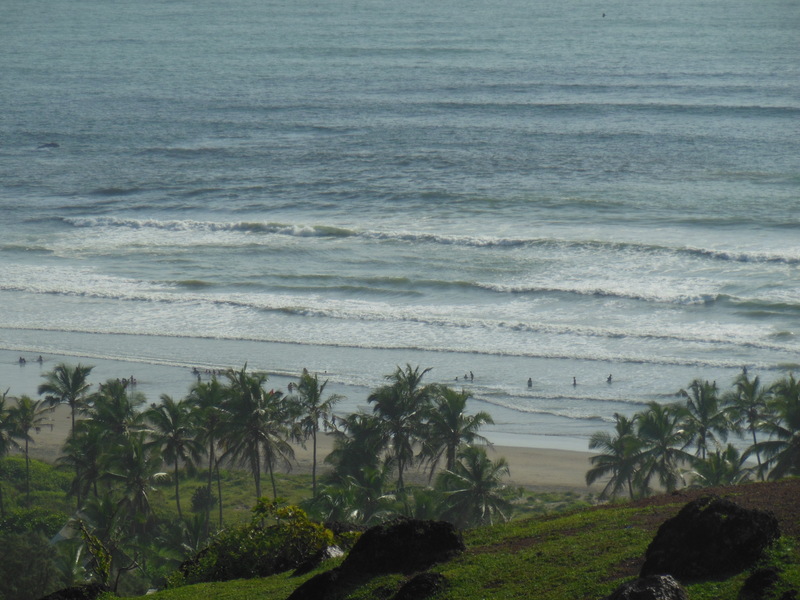 After fort Chapora , we went to Chapora beach which is basically a beach for fishermen . After this we went to Candolim beach which was really really nice but there were no beach side restaurants there . As this was our last night in Goa we decided to spend some more time at Baga Beach and reached hotel at around 2 am . We woke up early as today we had flight , I had to return Activa at 9 am and get my PAN card back but to the surprise the guy who rented me Activa said my PAN card is with some other guy who has gone to pickup someone at station and will be back at 10:30 and said he will send my ID by courier . This was really bad part of my full trip at Goa that this guy created hassle at the last movement , I was about to miss my flight because the guy who went to pick someone carried my id with him and couldnt come back at time . Somehow after much pressurizing them and taking help from Hotel Staff , I got my id back at 12 Noon , Our plan was to leave for airport at 11 but due to those guys we were late and on the edge of missing my flight , fortunately driver who drove us to airport was good and we were able to get flight though we were late . On reaching Delhi Airport we got Uber and reached home at around 7 : 30 PM with some thoughts of beaches , beautiful weather and a lot of peace in our mind . We still coudnt see a lot of must visit places in Goa like Casio , Dolphins watching , Islands , Boats , Night clubs , church , beaches of South Goa , dudh sagar falls and so on but there is always another time and goa is a place We would really love to go again . Rent a bike or Activa the very first day , there are options to get Taxis to go to any place you want but renting a bike is far far better option . Alternatively you can rent a car too if you are traveling in a group . At this off peak season Activa as 300 per day , Vespa was 500 INR per day . 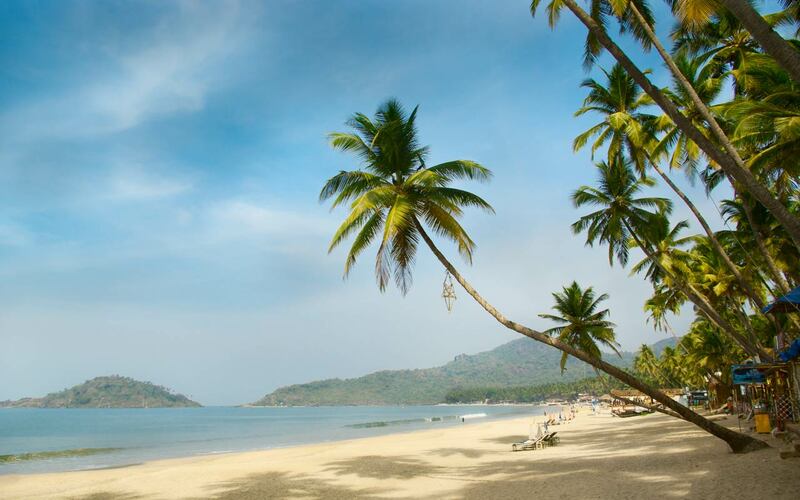 beaches, Delhi to Goa, Fun Trip, Goa, Noida to Goa, Travel, Travel Experience. Bookmark.